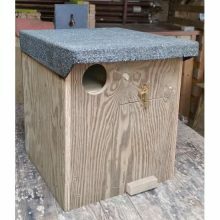 All our nestboxes are thoughtfully designed to be durable, practical, and safe for the birds, based on more than 25 years experience and research. 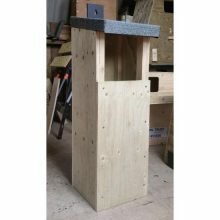 Hand-made by us here in Devon, using sustainably produced, long lasting, FSC certified timber. 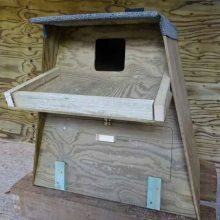 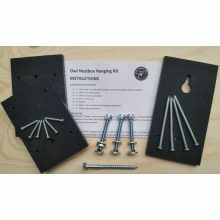 Nestboxes built by the Trust come with hanging kits INCLUDED, apart from indoor boxes where one is not required. 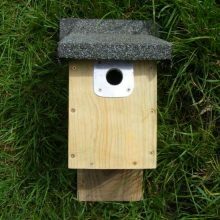 All profits help to support our work: “Conserving the Barn Owl and its Environment”. 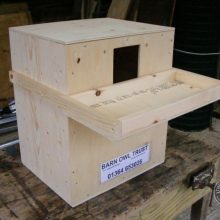 View basket “Barn Owl box for a tree” has been added to your basket.